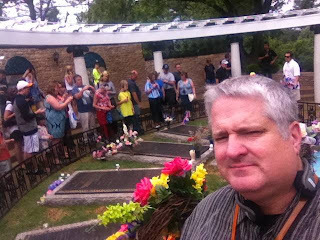 I recently had the opportunity to tour Elvis Presley’s Memphis, Tennessee home, Graceland. Even if you are not a fan of The King, this is a must-see item that should be in everybody’s bucket list. Graceland was built in 1939 by Ruth and Dr. Thomas Moore. Elvis gave his folks a $100,000 budget to find him a house outside of town, and they chose this 14-acre estate. He proceeded to expand and modify it to his tastes, including additions to the main house and the building of other structures on the property. He died there in 1977, and was buried in the back yard, and you will find him there next to his folks and his grandma. Graceland was opened to the public as a museum in 1982, and these days about 600,000 people a year make the pilgrimage to Elvis’ estate. I have long been a fan of Elvis Presley, and have never been able to work in a trip to see his home during my business travels. 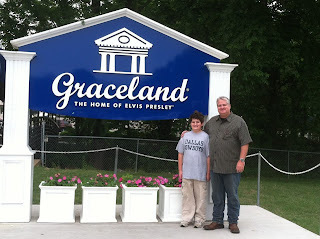 So, I decided that I had to make a special trip with Graceland as the primary destination. I am glad I did! They started out by snapping a photo of us in front of a green screen, which I had no intention of buying, but it turned out really nicely, so I just had to buy it. Then it was on to board the shuttle for the short trip across the street to the mansion. They included a self-guided audio tour, which included little audio players that we could punch in codes to have the different displays and rooms described to us. The tour starts through the front door, and fortunately I read up on the estate before I went so I knew that The Man had dies right above the front door! Then we got to tour half of the first floor, including his living room, dining room and kitchen. Nothing has been re-decorated, so it still has that mid-1970s charm. Then down to the basement to see the TV room and pool room, which were my favorites. The decorations and furniture are truly breathtaking. Then, back up another staircase (encased in green shag carpet) to the Jungle Room. My god. Elvis had truly incredible taste! After this, you exit the house. No second floor tour – rumor has it that only Lisa Maria and Priscilla can go into his room, which is just as he left it. You go out into the back yard, pass the car port and Lisa Marie’s old swing set, and take a walk thorough Vernon’s office. Going out through the smokehouse/shooting gallery, there is a path past the horses and stable to his trophy room. You have never seen so many Grammys and gold records in one place. There are also costumes from some of his movies in there. Across from there is his racquetball building, which has been converted into another trophy room. Lots more gold records and jumpsuits in here, folks. And last on the regular mansion tour agenda is the Meditation Garden, where Elvis and his kinfolk are interred (and there is a memorial stone for his twin brother that dies during birth – who knew?). If you go for the VIP tour, there is another room you get to see with Lisa Marie’s memories of her dad. I thought it was pretty neat. There are also a half-dozen other displays, and my favorites were his two airplanes and the car museum. The planes are definitely a little time worn, but are worth a looksie, if only to see the gold hardware in the bathrooms and Elvis’ mile-high club member exam area. The cars are fantastic, and include some motor bikes, and golf carts too. There are a few downsides to the place. Parking is $10, and as you exit all of the sub-tours you have to pass through yet another gift shop. Also, Memphis is kind of a great big ghetto, and I never felt truly safe anywhere I went outside of Graceland. The town is not a great tourist destination, I guess. Anyway, I thought that Graceland was cool. 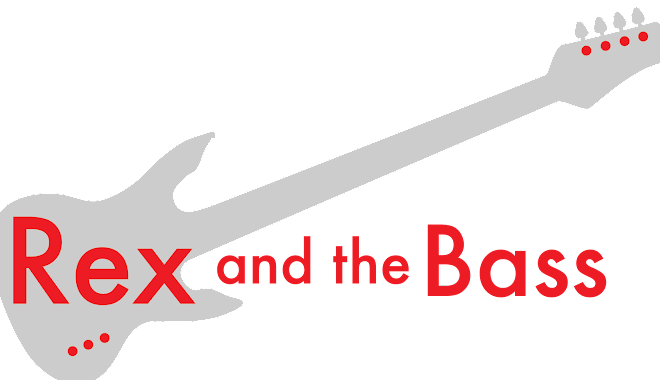 Others poo-poo it as small, lurid and gaudy, but I look at it as getting to glimpse Elvis Presley’s life, and I think it is a great opportunity for fans to get to know him, and for others who are not as familiar with his work to realize what an incredibly huge deal he still is. I recommend seeing it soon, as there are plans to tear down the visitor centers and a lot of the area around Graceland to build a huge convention center and theme park. This would allow a few million people per year to visit. I cannot image trying to cram more people through the home unless they open up 24 hours a day.